Australia and New Zealand have been remembering soldiers from the two countries who fought at Gallipoli in Turkey during World War One. 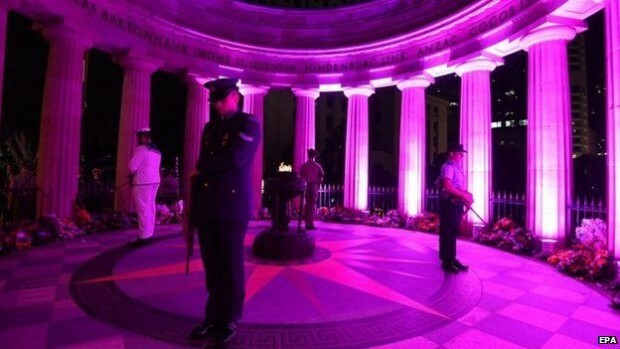 A series of events on Saturday marked the centenary of the Allied attack on the Gallipoli peninsula. A dawn service was held at the landing. The two countries later remembered their dead at battlefield services. More than 11,400 of Australian and New Zealand Army Corps (Anzac) troops were killed in the course of the campaign.